Now displaying 141 - 160. Chattanooga REIA's newest group The Haves, Wants & Exchangers Group (HWE) (Howie) is group of Real estate investors and exchangers who meet with the sole purpose of finding inventory and creating transactions that benefit everyone involved. In this type of setting, even the beginner can find a deal and make a creative transaction. It’s educational, informative, and a great experience for all investors. Everyone, no matter their skill level or situation, has the opportunity to be the catalyst in a transaction in this type of meeting. 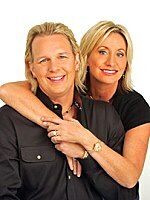 HWE meets every 2nd Thursday at 11:30AM ET for lunch and on the 4th Thursdays for dinner at Wally's Restaurant in East Ridge. 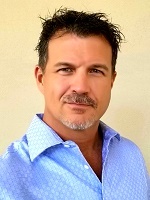 HWE is led by Shane Wilson, local real estate investor and Re/Max real estate agent. If you Have something you do not want any longer, Want something you do not have yet to help you in your real estate investing, or want to Exchange something you have to what you want, this is the group to tell others about it! Here is our schedule which is subject to change from time to time, especially around the holidays. Be sure to check our calendar for the most update dates and times. If you are a new or experienced investor looking looking to buy or sell houses, notes, vehicles, borrow or loan money for a deal, antiques, whatever of value, this group is for YOU! Be sure to bring your deals, property flyers, business cards, contracts and Let's Make a Deal or Trade! 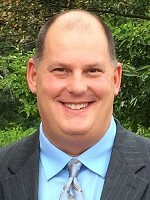 Please join us at the all NEW Beginning Investors Group on Wednesday, June 21st at 6PM at the Wally's Restaurant located at 6521 Ringgold Rd in East Ridge, TN, hosted by Alan McDonald. Have you been a “real estate investor” for several months or even years without doing your first deal? What is holding you back? Fear? Lack of money? Credit Problems? Lack of Focus? Are you afraid you will screw it all up? If so, there is a new investor group for you… “BIG”, the Beginning Investor Group! This group focuses on the defeat of fears, or act in spite of them to do that very important first deal. We want to help you break through those mental barriers. Inspire you to act. Crystallize your focus. BIG will meet once a month, the third Wednesday of each month and our first meeting is on Wednesday, June 21st at 6:00 PM at Wally's Restaurant, 6521 Ringgold Rd in East Ridge. We will have experienced local and regional investors speaking on relevant topics to help unlock that mental block. We will also have mentors that can take you by the hand and can walk you through that first deal. Our debut topic is "Your First 90 Days in Real Estate Investing” with Don DeRosa as our special guest speaker. If you are new to the game, or have been spinning your wheels for a while, Come join us! There will be plenty of "A-HA!!" moments, and perhaps you may walk away with the final piece of inspiration you may have needed and do that deal! If you haven’t passed over the first deal hump, you don’t want to miss this meeting and taking part in BIG. We will see you there! 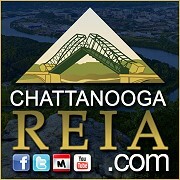 The Chattanooga REIA Beginning Investors Group (BIG) is an educational and networking special interest group for new investors who are just getting started in real estate investing as well as “new again” real estate investors who’ve taken a few years off and are looking to get back in the game. BIG is hosted by Alan McDonald, who will be bringing in local and regional real estate experts to teach new investors how to survive and thrive in our ever changing economy and real estate market. The entire purpose of this group is to help new investors get their first deal and help new again investors get their next deal! In Part One of this article, we discussed YOU and why you do the things you do. Specifically, we talked about WHY people do or don’t do things for two primary reasons: To gain pleasure or to avoid pain. This is also known as the Carrot or the Stick - the carrot is something good that we want, while the stick represents the pain we don’t want. Finally, we talked about some stuff that you might not like - why you may not be as successful as you’d like to be, or why you don’t always do some of the things you know you should be doing. I know last month’s article was a little depressing but it was important and here’s why: We take daily actions in pursuit of a better life, to move away from pain and towards happiness, while the underlying emotions of fear and greed drive us. It is within these actions that we should investigate and become aware of their effects. The “better life” has a price and that price is unknown. The “better life” is culturally conditioned. I remember one time when I was a kid I was grounded for the day, and I sat at my window staring out with my nose pressed as close to the screen as possible to feel any fresh air and sunlight I could. Seeing and hearing the other kids playing brought feelings of anger, fear, jealousy, and envy. I wanted to be outside so bad. But I sat and endured. Every time I mention a capitalization rate to a group of learning based, future investors, I get this blank deer in the headlights’ look (not that I have stared many deer in the face). So I decided to simplify the meaning and amplify the importance. The capitalization rate(R) is the rate of return used to estimate the property’s value based on that property’s net operating income. Often called a Cap Rate (Rate), it is the method for determining the attractiveness of the investment for the potential purchaser.